The Hafele Pewter Olympia Cupboard Knob has a timeless design of a smoothly circular knob on a slim round base. The Olympia cupboard knob's pewter finish is warm and tactile and when combined with the minimal design makes these cupboard handles ideal for kitchens and furniture in modern and more traditional design themes on both painted and exposed timber surfaces. The Hafele Olympia Furniture Collection is hand made in the United Kingdom and crafted using genuine pewter. The Olympia Pewter Collection includes cupboard handles, cupboard knobs, door handles on rose and door handles backplate to create a fully unified look around your home. 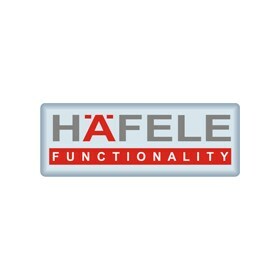 Part of the Pewter Collection by international manufacturer; Hafele. This collection has an aged style while maintaining a unique elegance and versatility for use in modern homes. The pewter cupboard handles and knobs provide a traditional edge that look fantastic set against painted and wooden cupboard and drawer fronts for every room in the home.